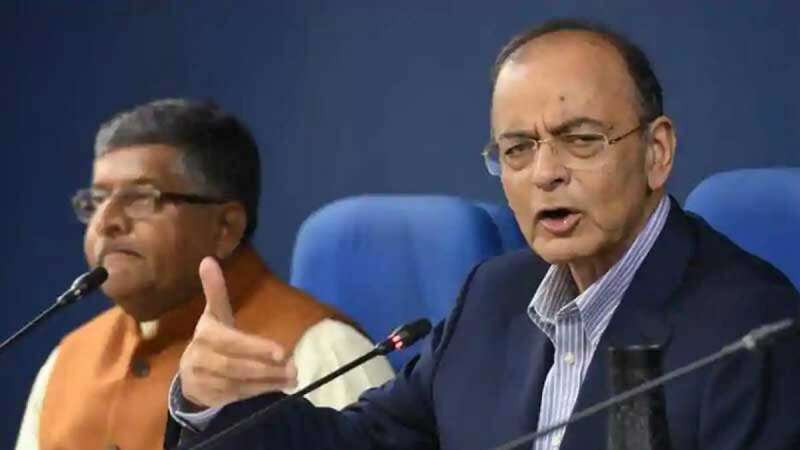 New Delhi : Union Minister Arun Jaitley on Thursday launched a counter-attack on Congress President Rahul Gandhi, who raised demands of 'criminal investigations' against Prime Minister Narendra Modi in Rafale deal. "The government has repeatedly made its position clear. The Supreme Court has spoken on it. The petitioners are taking one more chance. The CAG has already analysed it. No dynast can claim that he is above the Supreme Court or the CAG and that their verdicts and findings don’t apply on them," Jaitley said briefing the mediapersons in New Delhi. “Politicians must understand people of India are more intelligent than us,” Jaitley said. On Wednesday, Congress President Rahul Gandhi turned up the heat on the government over the Rafale issue, saying there is "enough evidence" to prosecute Prime Minister Narendra Modi in the matter. "There is now enough evidence to prosecute the PM in the #RafaleScam. The trail of corruption begins & ends with him. That crucial Rafale files incriminating him are now reported "stolen" by the Govt, is destruction of evidence & an obvious coverup," Mr Gandhi's tweet read.